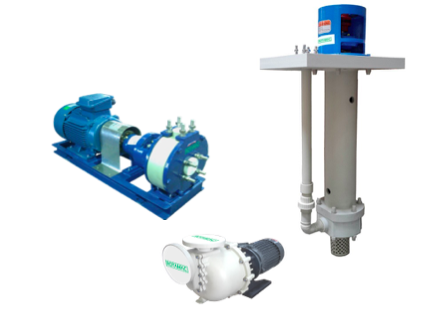 ROTAMAC is an experienced partner and supplier of industrial pumps, general service pumps, solid handing pump and chemical process pumps to customers in the building, waterworks, chemical, petrochemical, power, rubber, sugar, food and beverage, and pulp and paper industries. We can supply a range of centrifugal pumps designed and manufactured in accordance with EN 733 (DIN 24255), ISO 5199 & EN 22858 (ISO 2858 / DIN 24256) or API 610 (ISO 13709). The basis for our comprehensive pump range are the two material groups Metal and Plastics. This wide variety of materials and more than 30 different pump types offer the right solution for your project. In close communication with you our experienced project teams develop individual concepts for your sophisticated application. And if you need a standardized application just profit from our extensive pump range. The industrial standard pumps have been developed in response to customer requirements for pumps that meet EN733/DIN24255, ISO2858/ISO5199, ASME B73.1 and API610. They are available in a number of different materials and are suitable for a wide range of industrial applications, offering high reliability, high efficiency, low NPSH, resulting in low operating costs. Pumps of the series ROTAMAC RE are horizontal, single-stage volute casing pumps with connections and main dimensions to EN 733/DIN24255. The design of the pump allows the complete drive unit to be withdrawn from the casing without disturbing the attached pipe work. If a spacer type coupling is used, it is also unnecessary to disconnect the motor. Rotamac RC horizontal, single-stage volute casing pumps with design features and nominal rating to ISO2858/ISO5199. The process design permits dismantling of the complete bearing unit towards the drive end, without the pump casing having to be disconnected from the piping. If a spacer coupling is used it is also unnecessary to disconnect the motor. Rotamac RU chemical end suction single stage centrifugal pumps are used for demanding industrial applications to ensure process reliability, high efficiency and low operating costs. The pump is designed according to ASME B73.1 standard. 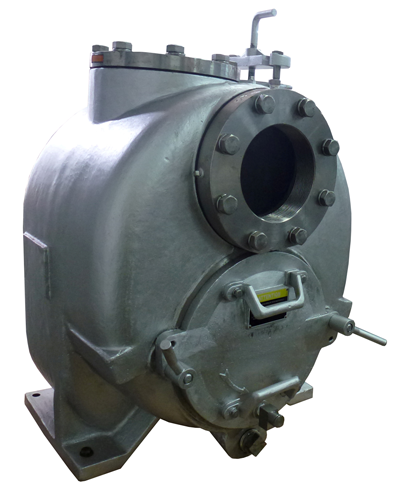 Open impeller and seal chambers are designed to facilitate corrosive and erosive substance transport, heat regulation and routine maintenance. 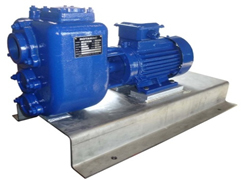 The RA series is an overhung, horizontal, centerline mounted, single stage, radially split process pump. It has the broadest performance range in the industry and is used in heavy duty refinery, petrochemical, gas processing and offshore oil production services. ROTAMAC offers a wide range of double suction axially split pumps, radially split pumps, which includes both single and multistage designs. Each product range has special design features for general and targeted industry applications. RD double suction axially split single stage centrifugal pumps are used for demanding high-capacity industrial applications to ensure process reliability, high efficiency, and low operating costs. Also available in vertical configuration. The D series, radially split type BB2 pumps offers the widest range of hydraulic performance in the industry. The pump impeller provides reduced NPSH3 for tough services in refineries and other critical applications. The RM, MSTR series is horizontal radially split multistage between bearings pumps. Also available in vertical configuration. 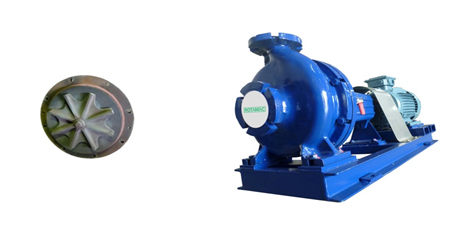 These pumps are also known as ring section pumps or segmental ring pumps.The modular design of the RM, MSTR series pumps allows ROTAMAC to find the most efficient solution to meet customer requirements. Both investment cost and lifecycle costs are taken into consideration when designing the best possible pump, and the optimized hydraulic design guarantees the highest level of efficiency. ROTAMAC's solids handling pumps can be found in a wide range of applications in the Municipal, Agricultural, Mining, Sugar, Pulp & Paper, Wastewater and General Industrial markets. These pumps are available with a slurry impeller, semi-open impeller, open impeller, vortex impeller as well as a non-clog impeller. Impeller types have wide impeller passages which provide an extremely smooth resistance-free path for solids. The Rotamac RS provides excellent wear life while maintaining efficiency during the wear cycle providing the best total operating cost. The horizontal and vertical slurry pumps are designed for ultra heavy duty applications such as mill discharge, process plant and tailings, pipelines as well as specialty applications. Materials: high chromium iron (ASTM A532 class III type A), natural rubber. The Rotamac RT series can handle solids up to full diameter size of discharge connection without danger of clogging. The vortex impeller does not impart energy directly to the liquid. Instead it creates a whirlpool, best described as a vortex. The vortex in turn imparts energy to the liquid or pumpage. The location of the impeller is usually above the volute, so it experiences hardly any radial forces. Available in vertical sump configuration VS4, VS5. Choosing the right impeller helps to avoid clogging and achieve the highest possible efficiency. ROTAMAC offers pump impellers for all processes in solid-handling application. ● The semi-open type impellers are more efficient due to the elimination of disk friction from the front shroud and are preferred when the liquid used may contain suspended particles or fibers. ● The open impellers and non-clog impellers are designed for liquids containing larger solid particles, abrasive liquids or stock up to 6 % consistency. Rotamac's self-priming pumps are easy to operate and service. They can run high and dry above the water level, so maintenance can be completed quickly and easily. They are for applications where the main feature is the difficulty in priming, solid handling and are used in the industry, construction and emergency. Self-priming pumps are available as basic unit close coupled or may be flexible long coupled, V-belt driven or engine mounted. Vertical Sump Pumps are intended to use in the industrial pumping applications to pump clean or lightly contaminated liquids, fibrous slurries and liquids containing large solids from the deep sumps. The pumping head is suspended into the pumped liquids and the drive motor is dry installed on the top. The pump has separate discharge pipe and support pipe column. The vertical sump pump has a vertical line shaft with bushings or cantilever design without bushings. 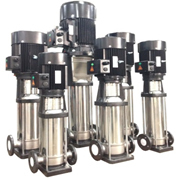 Automatic package pressure booster system, with 2 to 3 vertical high-pressure pumps or 2 to 3 end suction pumps, with fully electronic control of the required supply pressure. Applications : Residential buildings, hospitals, office buildings, hotels, department stores, industry, and other applications. Fire Fighting Pumps designed to every buildings' safety requirements against fire hazards. 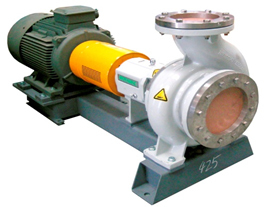 Pumps designed to meet the NFPA 20 standard. NFPA is the main code that governs fire pump installations in North America, it is also known as the National Fire Protection Association. ROTAMAC’s general service pumps are all designed with advanced features to yield the proven benefits of low life cycle cost, low installation cost, low operating cost, and low maintenance cost. ROTAMAC range of submersible pumps is recognized for its reliable performance, high energy efficiency and long product life. Submersible pumps cover a wide range of applications where efficient water pumping is required, including; Water supply, Irrigation, Wastewater, Drainage, Fountains, Dewatering, and many more. ROTAMAC REPC, close coupled end suction single stage centrifugal pumps are used for demanding industrial applications to ensure process reliability, high efficiency and low operating costs. 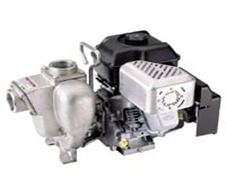 ROTAMAC vertical in-line volute pumps are used in commercial buildings for air conditioning and heating applications. The pumps are all single-stage, in-Line centrifugal pumps with standard motor and mechanical shaft seals. ROTAMAC vertical multistage centrifugal pumps come equipped with high-efficiency motors. The in-line design enables the pump to be installed in a horizontal one-pipe system where the suction and discharge ports are in the same horizontal plane and have the same pipe dimensions. This design provides a more compact pump design and pipework. 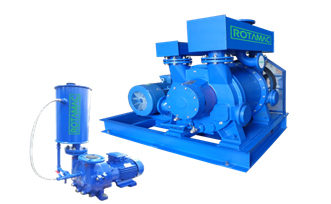 ROTAMAC Liquid Ring Vacuum Pumps are the reliable and durable solution for demanding process applications. Supplying a wide range of vacuum pumps for many industries and applications. The basic pump range is available in two different types: block pumps (close coupled) and bare shaft design. The block pumps in the VCV family provides suction volume of up to 500 m3/h with suction pressures of up to 33 mbar (abs.). Available in both cast iron and stainless steel construction, Space-saving installation. There is no need for additional baseplates, couplings or guards, which add to the cost, complexity and overall size of the installation. Bare shaft design in the RVV family provides capacities up to 33,600 m3/h with suction pressures of up to 33 mbar (abs.). The unique inlet configuration allows for bothtop and side inlet arrangements, the top discharge capabilities offer the use of a top mounted discharge separator that save floor space. Available in both cast iron and stainless steel construction. Capable of handling almost all gases and vapours. 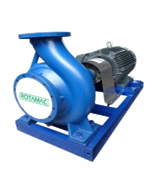 Be it aggressive, abrasive, of toxic media – ROTAMAC provide the appropriate centrifugal pump made from non-metal materials. e.g. PP, PE 1000, PVDF, CFRPP or FRPP. Our plastic pumps satisfy the highest security and quality specifications. Designed for residential and small municipal water supply as well as light irrigation applications. Mainly applied for drainage pumps in case of low head and large capacity condition. Handle thermal oils at extremely high temperatures. Cooled by air alone. End-suction, side discharge, mixed flow, non-clog pump, horizontal and vertical models, a variety of nozzle position options, and direct or independent motor mounting. Unique compact for sucking air, mixing. Stable performance, high efficiency and low noise level. Typically used for negative suction applications, minimum use of floor space and the NPSH available can be at the lowest level to satisfy the NPSH requirements of the pump. High-quality mechanically actuated diaphragm pumps suitable for many uses, such as drinking water treatment, wastewater treatment, and the pulp/paper and textile industries.